Discussion in 'Public VFG Fashion Parades & Fresh Vintage' started by carla rey, Jul 29, 2018. July 30 Vintage Inspirations: Ruffle Up! Frilly, elegant, sweet, or dramatic, ruffles of one sort or another have a nearly perpetual place among fashion trends. The sartorial flourish is back in vogue now, so we are reaching into fashion’s archives to show you everything from tux shirts to flouncy dresses, rumba skirts to cravats. Get ruffled, vintage-style! The Vintage Stylist, The Vintage Merchant, themerchantsofvintage and 2 others like this. Sold to Christian Dior Couture recently! The Vintage Stylist, denisebrain, poppysvintageclothing and 4 others like this. The Vintage Stylist, denisebrain, poppysvintageclothing and 2 others like this. The Vintage Stylist, denisebrain, BonniesVintageClothesLine and 3 others like this. 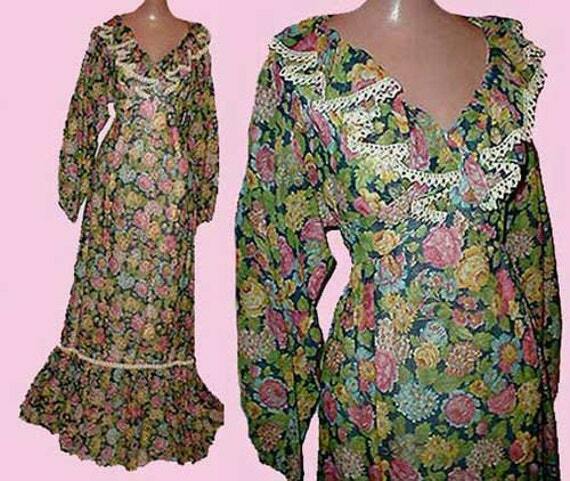 The Vintage Stylist, The Vintage Merchant, BonniesVintageClothesLine and 2 others like this. The Vintage Stylist, themerchantsofvintage, The Vintage Merchant and 3 others like this. OK MJ @poppysvintageclothing, you win...that red ruffled organdy number! Also, so cool about selling the Laura Ashley to Dior, Carla @carla rey! These next three are some oldies-but-goodies (previously sold). BonniesVintageClothesLine, The Vintage Stylist, Midge and 3 others like this. i LOVE that ruffly jacket pattern!!! The Vintage Stylist likes this. Thanks, Maggie...I have had that one for some time now and thought this was the perfect opportunity to list it. Love your blue Daniel Green slippers, what a gorgeous color! Carla, that Laura Ashley is very nice, can't remember seeing one with that sort of off the shoulder look before, nice to hear Dior snapped it up! Thanks, Mary! This is actually the second time that I have this pattern . BonniesVintageClothesLine, Midge, The Vintage Stylist and 2 others like this. BonniesVintageClothesLine, Midge, The Vintage Stylist and 3 others like this. 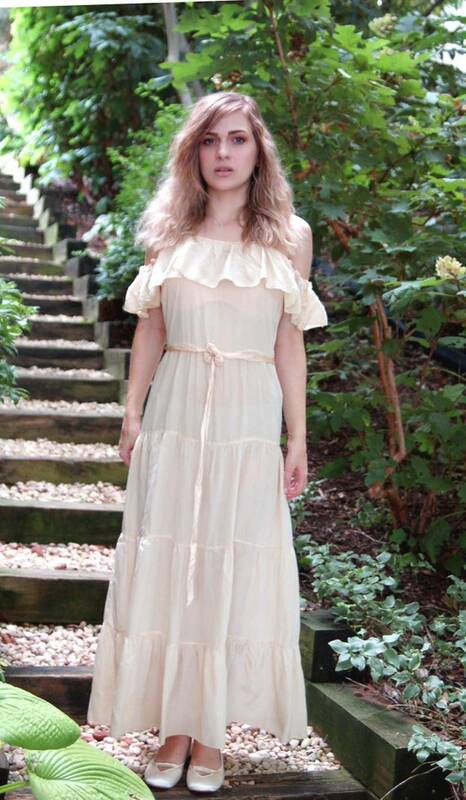 poppysvintageclothing, BonniesVintageClothesLine, themerchantsofvintage and 1 other person like this. themerchantsofvintage, Midge and poppysvintageclothing like this.